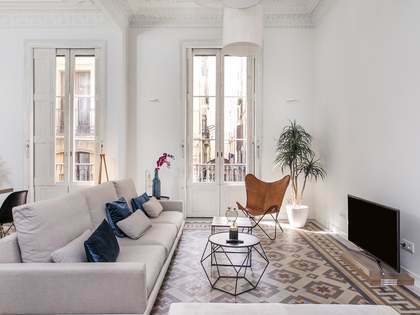 Fully renovated, modern 121 m² apartment in a perfect location between the Eixample Right and the trendy Born neighbourhood of Barcelona. 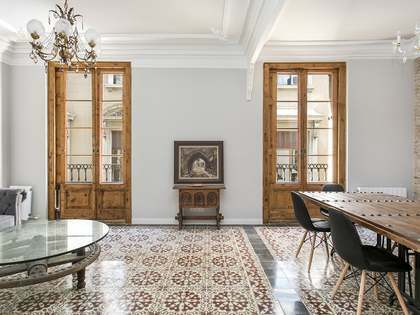 The property is found in a classic mid-nineteenth century building with a lift on a peaceful street and is just minutes away from Arc de Triomf metro and train station. 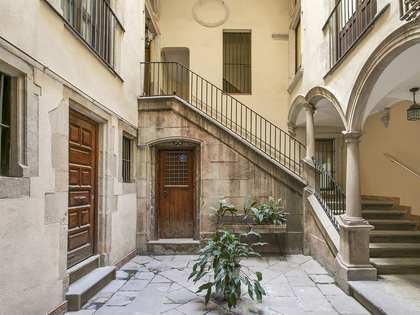 The apartment has a good sized living area with an open concept equipped kitchen and a large balcony looking out over the exterior courtyard, next to it is the utility room with an extra bed, and the 2 double bedrooms, each with their own bathroom. The main bedroom has a double bed and a French balcony over the street. 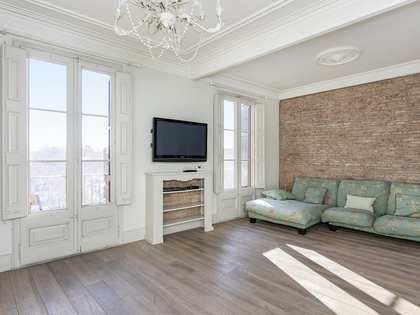 The property has been fully renovated and now features air conditioning (cold and hot air) and heating, wooden flooring and great quality finishes throughout. A communal terrace awaits you on the rooftop. Available to move in from 6th of May, already available for viewings. 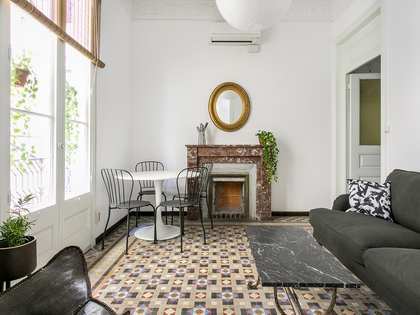 Ideal for a couple who want to live close to both the Eixample and Born neigbourhoods. 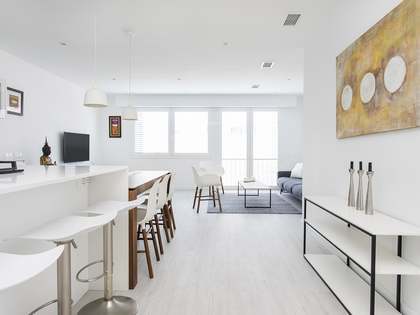 Apartment located on Calle Mendez Nuñez, right between the Born and Eixample Right. The nearest metro station is Arc de Triomf. For rent, Apartment €2,800 pcm.